The natural heartburn remedies that you’re about to read about are, in my opinion, much better for you than the PPIs, H2 blockers, or Antacids commercially available or prescribed, because most of them actually support your body in working properly and maintaining good health. The “unnatural” options (drugs) prevent your body from doing it’s job and ultimately, contribute to ill health. While these two conditions are unrelated, many who have a hiatal hernia also have H. pylori, which causes a chronic low-level inflammation of your stomach lining that can result in an ulcer and associated symptoms. If you have a hiatal hernia, physical therapy on the area may work and many chiropractors are skilled in this adjustment. Besides these underlying conditions, you should know that certain prescription and over-the-counter (OTC) medications can also cause heartburn. Common culprits include anxiety medications and antidepressants, antibiotics, blood pressure medications, nitroglycerin, osteoporosis drugs, and pain relievers. 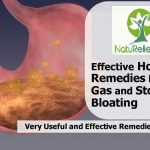 Ultimately, the answer to heartburn and acid indigestion is to restore your natural gastric balance and function. Consuming large amounts of processed foods and sugars is one of the most likely causes of heartburn because they will upset the bacterial balance in your stomach and intestine. Instead, you’ll want to eat a lot of vegetables and other high-quality, ideally organic, unprocessed foods. Also, eliminate food triggers from your diet. Common culprits here include caffeine, alcohol, and nicotine products. Next, you need to make sure you’re getting enough beneficial bacteria from your diet. This will help balance your bowel flora, which can help eliminate H. pylori bacteria naturally without resorting to antibiotics. It will also aid in proper digestion and assimilation of your food. Ideally, you’ll want to get your probiotics from fermented foods. If you aren’t eating fermented foods, you most likely need to supplement with a probiotic on a regular basis. I highly recommend that you include a variety of cultured foods and beverages in your diet, as each food will inoculate your gut with a variety of different microorganisms. If you’re already suffering from heartburn, here’s a list of effective natural heartburn remedies. In most cases, you will already have the ingredients somewhere in your home. Apple Cider Vinegar – More Acid Please! It is the presence of acid that tells your lower esophageal sphincter (LES) to tighten and close off. If you don’t produce enough acid, your LES is going to think it’s no big deal to loosen up for a little bit. Then of course, you get a reflux of acid into your esophagus. If you think this may be your case, try drinking some pure, raw, unfiltered apple cider vinegar to see if this prevents your reflux, or cuts it off. 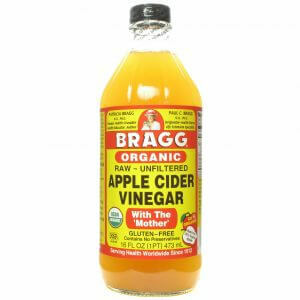 Apple Cider Vinegar (ACV) is the best vinegar choice, in my opinion. I would also prefer an unfiltered brand like Bragg’s because you’ll get the added benefits of the probiotics it contains. So, you can help your health and many times get rid of heartburn. The ACV trick for heartburn is used by many people. Mix 3 teaspoons, or up to 1 tablespoon, of apple cider vinegar into 6-8 ounces of fresh water, and drink. 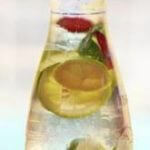 Alternatively, you can use soda water with ice which in my opinion, is much nicer. You can do this before each meal (probably the most effective,) before bedtime, or 2-3 times during the day. If you feel is worsens your reflux, do not continue to ingest it. Too much may also contribute to the problem. 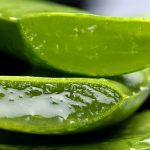 Aloe is a plant used to soothe burns, and people often think of using it to help something like sunburn, but it can do more than that. We include it among our natural heartburn remedies too because it reduces inflammation. 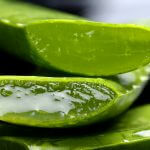 This means when your tummy starts getting irritated and inflamed, or your esophagus is getting eaten away at, a nice glass of aloe vera juice may be just the thing to help calm it down. Ginger root can help ease up a number of stomach woes, from nausea to acid reflux. 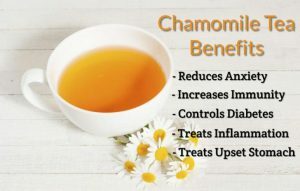 Sipping a cup of fresh tea about 20 minutes before a meal can help calm down your tummy and act as an acid buffer. Slice up 3 quarter sized pieces of ginger root and simmer gently in 2 cups of water, covered, for 30 minutes. Remove the ginger pieces, or leave them in, pour into a glass, and drink all of it about 20 minutes before a meal. Vitamin D is important for addressing any infectious component. Once your vitamin D levels are optimized, you’re also going to optimize your production of about 200 antimicrobial peptides that will help your body eradicate any infection that shouldn’t be there. For this reason it should be considered along with other natural heartburn remedies. You can increase your vitamin D levels through appropriate amounts of sun exposure, or through the use of a safe tanning bed. If neither of those are available, you can take an oral vitamin D3 supplement; just remember to also increase your vitamin K2 intake. Mustard is an alkalizing food that is full of minerals, and contains a weak acid in the form of vinegar. Consuming mustard straight, while it may make you grimace at first, may ultimately end up making your smile. Because of its alkaline properties, it will help neutralize the acid that may come creeping up your throat, and therefore may neutralize the pain of acid reflux. 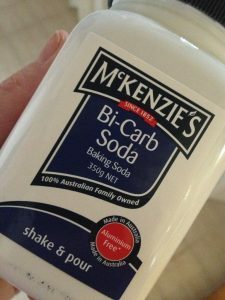 It seems to be the most helpful if you’re feeling a bout of heartburn creeping up, or if it’s happening right now. Here’s one of those natural heartburn remedies from Reader’s Digest. 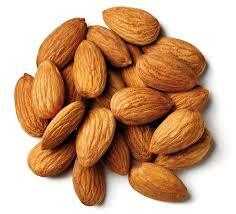 Eat some almonds after every meal, every snack, every time you ingest something basically. Try to track down organic almonds if possible. These tasty nuts do something to seemingly neutralize the juices in your stomach, relieving and preventing some instances of heartburn. A very effective acid reducer that alkalizes the stomach, it almost immediately reduces the pain. A half to one full tsp in a glass of water will instantly relieve symptoms related to ulcer pain, inflammation, and gas. If your heartburn is associated with stomach ulcers, you’ll find that cabbage is better than most anti-ulcer drugs with its composition of natural anti-ulcer chemicals. The duodenal ulcers of patients fed cabbage were seen to heal in one-third the usual time. In a double-blind study of 45 inmates at San Quentin Prison in California, 93 percent of the ulcers in prisoners taking cabbage juice concentrate in capsules – the equivalent of a fresh quart of cabbage juice every day – were healed after three weeks. It’s not my preferred way of dealing with acid reflux, as it lowers stomach acid levels. Stomach acid is important for a healthy gut and reducing it continually can lead to other unwanted health issues. But in those extreme situations, where none of the above options have worked, it’s the perfect solution and one of the best natural heartburn remedies. Watch how you eat: Don’t swallow giant mouthfuls of food. Take smaller bites and eat slowly, allowing your stomach time to digest and without giving it an excuse to pump out excess acid.